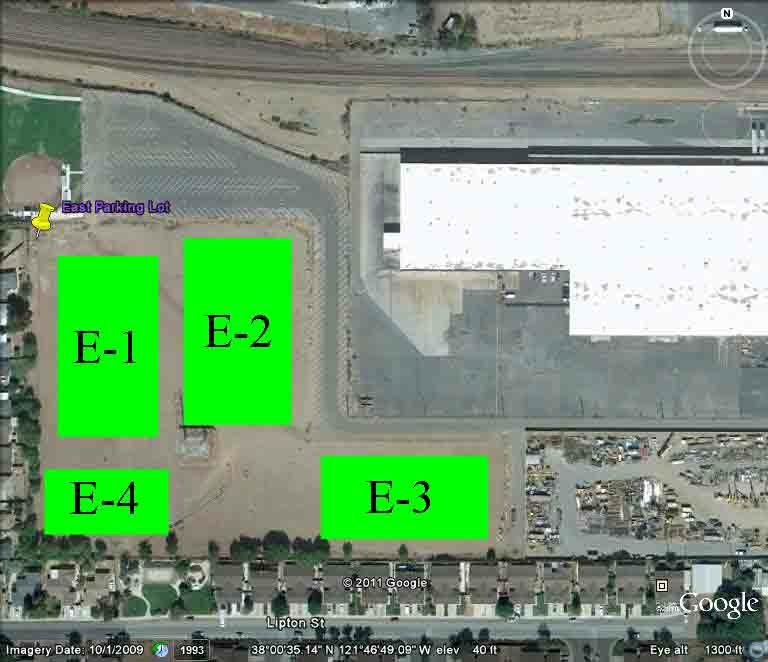 The East Parking lot is the larger of the two lots and should be used by anyone that uses baseball fields 8 or 9. 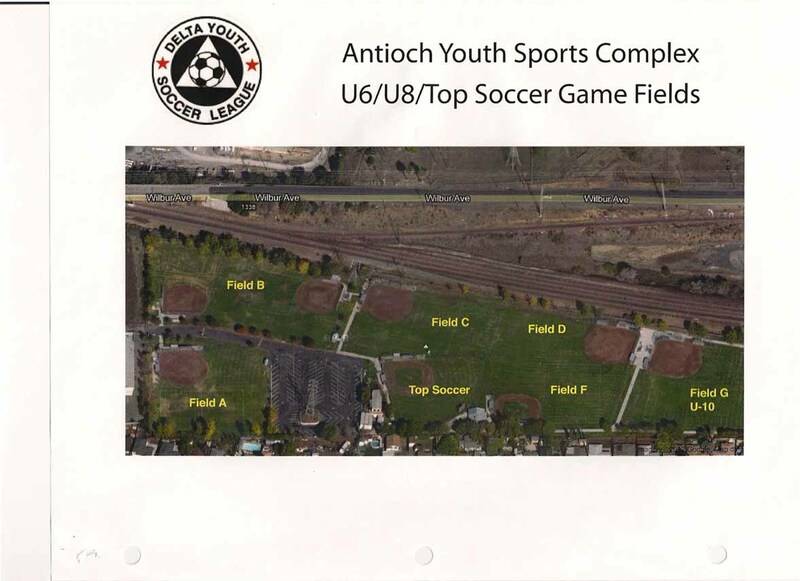 It should also be used by anyone that is playing on the new soccer fields, E-1, E-2, E-3 and E-4. All comp games are on the new fields. If the east parking lot is full use the overflow lot which is just east of the east lot on the other side of the fence. There is a pedestrian gate between the two lots. To enter it go past the entrance to AYSC and then turn left and drive all the way down to the fence. Take Hwy 4 east. Exit at the Hillcrest Exit. Turn left on Hillcrest to E. 18th St. Make a right on E. 18th St. then a left on Wymore Ave, which is just before the cemetary. Proceed down Wymore and turn left immediately after passing Drill Tech. Take Hwy 4 west. Exit at the Hillcrest Exit. Turn right on Hillcrest to E. 18th St. Make a right on E. 18th St. then a left on Wymore Ave. Proceed down Wymore and turn left immediately after passing Drill Tech. Exit the West parking lot via Apollo Ct. Turn right on Wilbur Ave. Turn right on Vierra Ave. Turn right on E. 18th St. Turn right on Wymore Way and then turn left after Drill Tech. Take the 2nd left to go into the overflow lot. Click on the compass icon below for a Yahoo map or go to the handout section and download a map of the streets around AYSC. Take Hwy 4 east. Exit at the A St./Lone Tree Exit. Turn left at the bottom of the off ramp and proceed North to Wilbur Ave. Make a right on Wilbur Ave and then a right on Apollo Ct.
Take Hwy 4 west. Exit at the A St./Lone Tree Exit. Turn right at the bottom of the off ramp and proceed North to Wilbur Ave. Make a right on Wilbur Ave then a right on Apollo Ct.